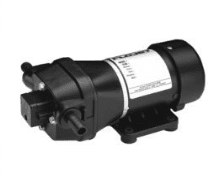 The Duplex II series of pumps incorporate the best technology and the features developed by Flojet. 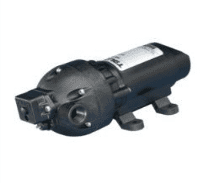 Everything from the back flow preventer, check valves, bearings and diaphragm assembly to the motor, have been designed to make this truly the most advanced and reliable diaphragm pump available. 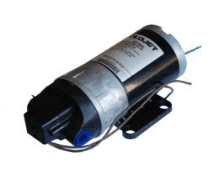 Higher efficiency of the pump is evident in the longer life of the motor pump unit. 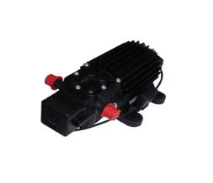 The new diaphragm design combined with the new valves makes the pump capable of pulling higher dry vaccuum. Duplex II is available in various performance ranges, voltages and with a choice of elastomers, making it easily adaptable to a diverse range of applications. This model replaces the former Flojet 2130-232.